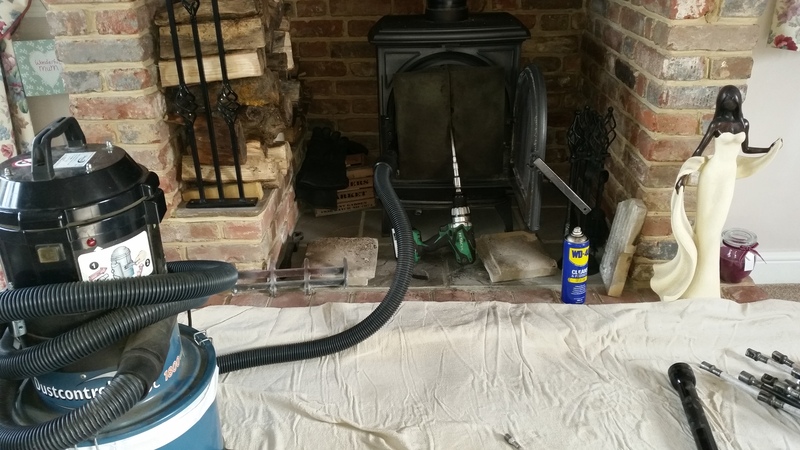 This is a recent logburning stove sealed and being swept. Once the stove is swept a smoke/draw test is carried out and then a certificate is issued for your home insurance. Its important to have your fire checked and swept every year. Having your chimney swept every year not only improves the performance of your appliance but reduces the chance of chimney fires. 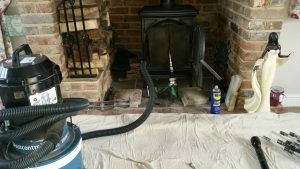 We sweep all type of appliances from small 4kw stoves to massive inglenook fireplaces and everything inbetween. We also supply & fit birdguards/anti downdraught cowls and carry out logburners services. This picture shows a chimney in Epping sealed and being swept.